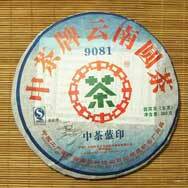 Zhong Cha Lan Yin Bing Cha is one of the seven tea cakes in 9081 Sheng Shi Zhong Cha (9081 Prosperous Times) tea cake series. 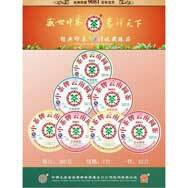 This series is Yunnan Tea Import and Export Co. Ltd's year 2007 flagship product and was compressed using high quality tea leaves from Xi Shuang Banna area. 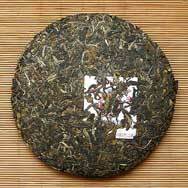 This has become my favorite tea and I have enjoyed it since 2007 when I ordered my seven tea cakes until today (December 26, 2015) when I finished my last tea cake and ordered another 7. It has become more cherished each year of aging. I very much appreciate and enjoy the complex flavors of this tea and allow my tea to brew in the tea pot throughout the day until I have consumed the last drop. 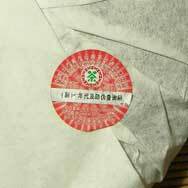 It has a pleasant smell of herbs and a refined and substantial green tea flavor one might expect from a fine tea liqueur. As one would expect it starts out with a light color with the first cup progressing to a darker hue and stronger edge as it steeps in the pot with the flavor and body growing stronger and fuller. 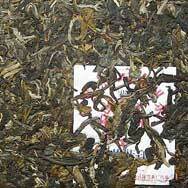 Simply a beautiful, complex and flavorful tea.